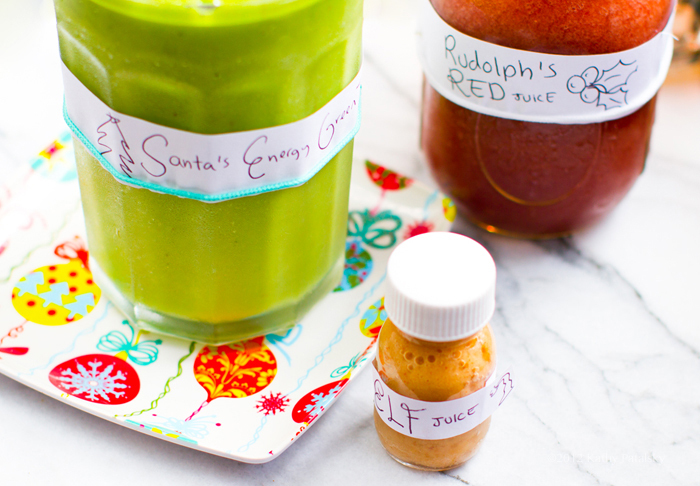 Holiday Smoothie Recipes from the North Pole. Green, Red & Nog. How in the world does Santa Claus do it? All those presents in one night? And how do those tiny elves make all those presents? And how does a gentle, tiny reindeer like Rudolph (and his friends) hull that giant, heavy, present-carrying sleigh .. even through thick fog or a blizzard-ish snowstorm? Some call it Christmas magic. But I know the real secret. Juice! 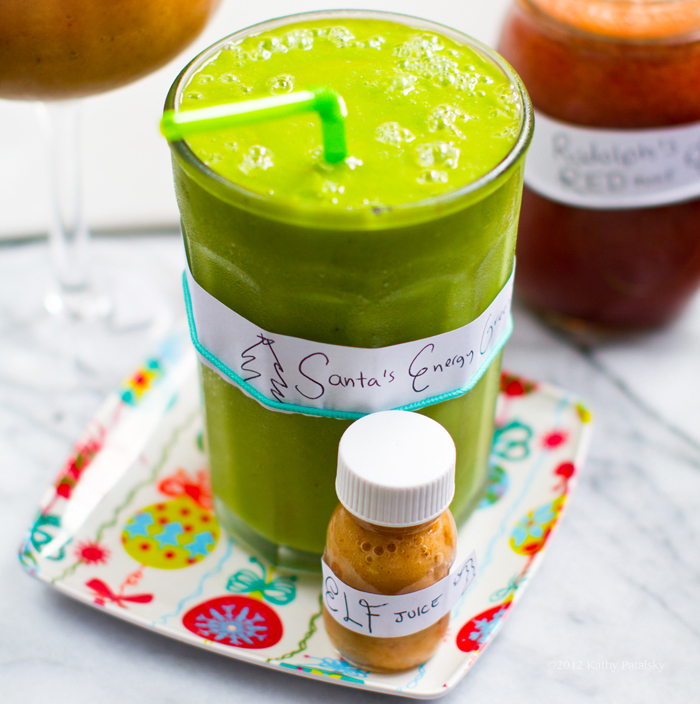 Now it all makes perfect sense..
A freshly blended green smoothie for Santa, sweet and spicy nog "elf juice" and even a red blend for the thirsty reindeer named Rudolph. 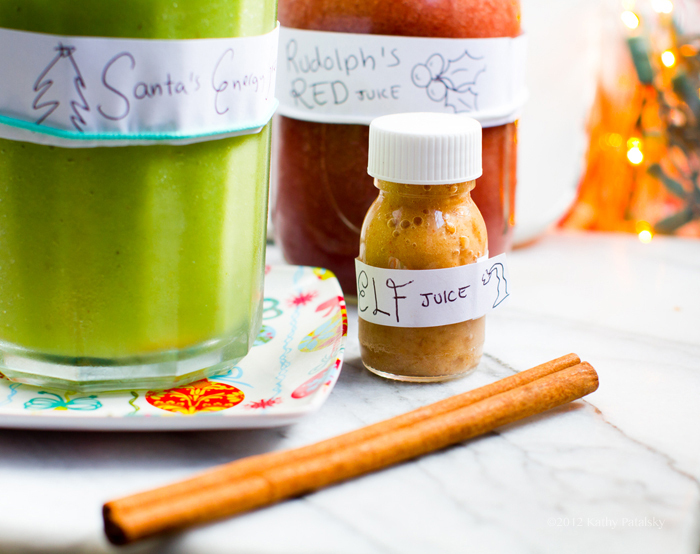 Get these three delicious holiday smoothie recipes (whole food sips made with a blender - thin textured style smoothies) and even a swanky, cinnamon-spiced sip from Mrs. Claus too..
Santa's Green Smoothie. 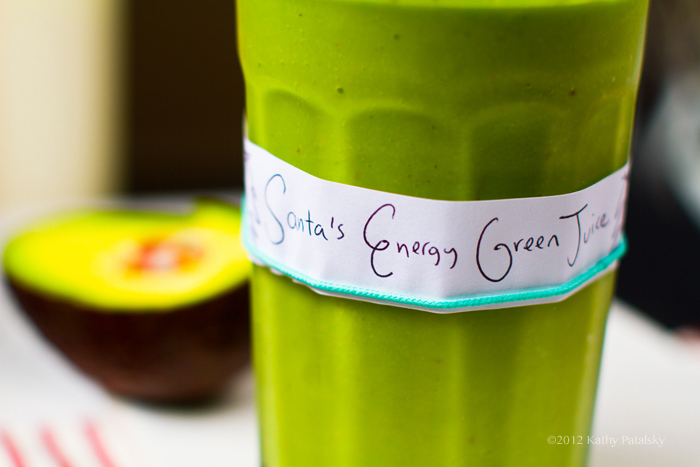 Santa needs his greens. 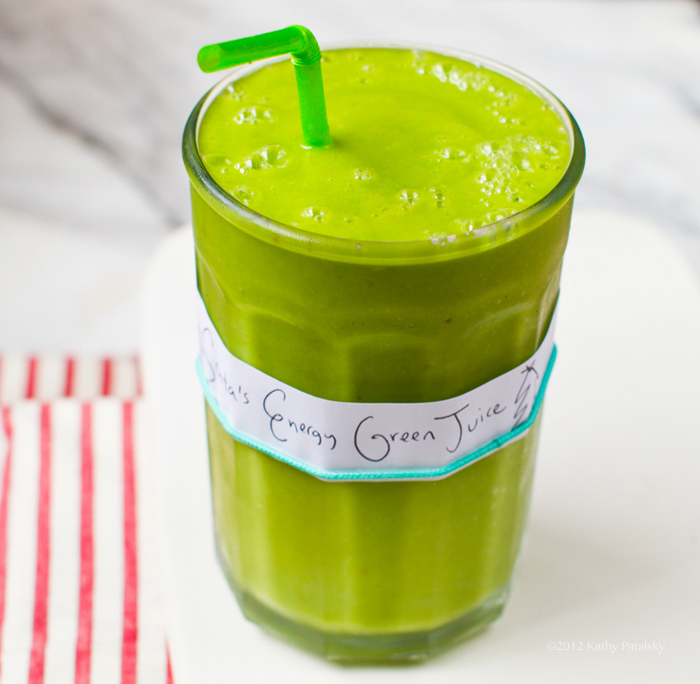 This sweet and guzzle-able juice is not only delicious and vibrant, but it has some staying power since it includes some avocado. It also includes sweet pear, electrolyte-infused coconut water and plenty of zippy lemon too. Santa can deliver all those presents with ease after gulping down this glass.. 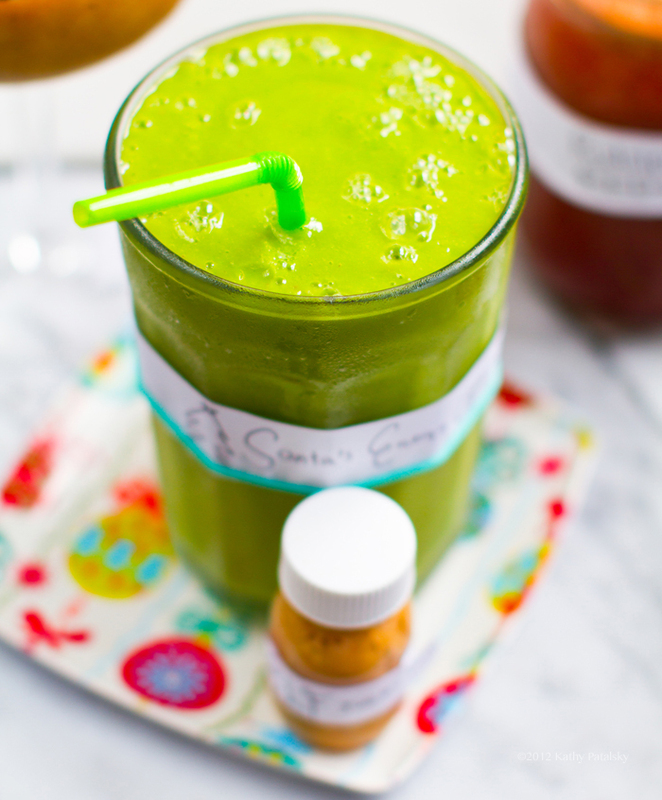 Directions: Add all ingredients to blender and blend from low to high until smooth and silky. 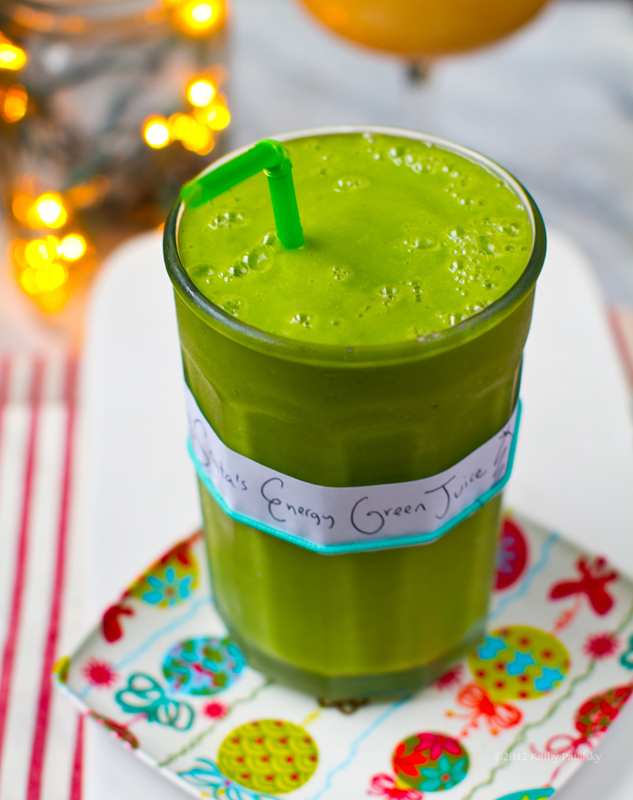 Add additional water or coconut water to thin out to desired consistency. Also rich in potassium, magnesium and manganese. Rudolph's Red Juice. 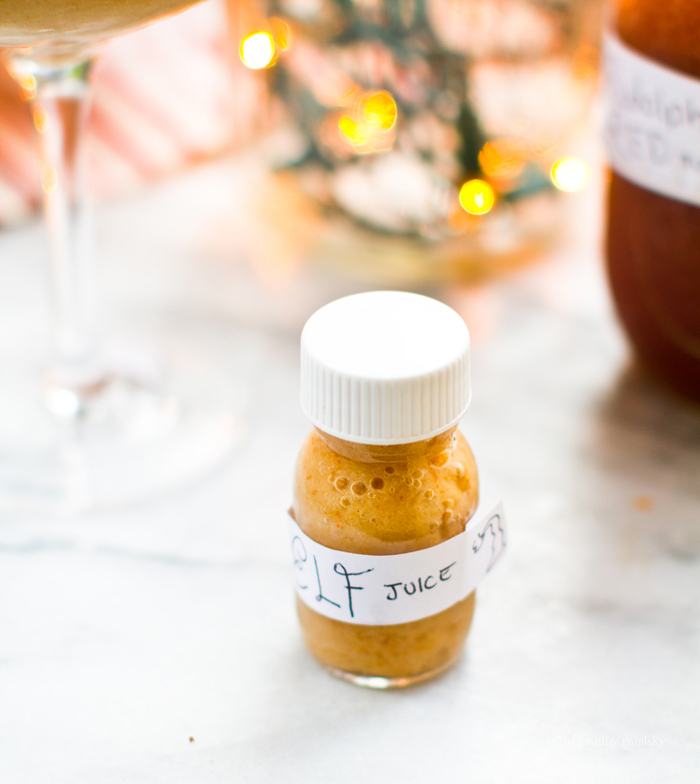 Rudolph loves this red juice blend to make his nose glow extra brightly through a foggy, snowy or rainy night! Plenty of red antioxidants from the cherries and pomegranate juice in there too! Elf Juice. Here it is. The secret to all those presents. This spiced juice is really quite simple actually. A hint of banana, some pear and plenty of spice. This juice looks like creamy nog because you know elves love their soy nog. So this juice actually has a very "nog" style flavor. Only it is made with all fruit and spices. Banana is rich in potassium and fiber. The juicy, ripe bosc pear carries plenty of sweetness. 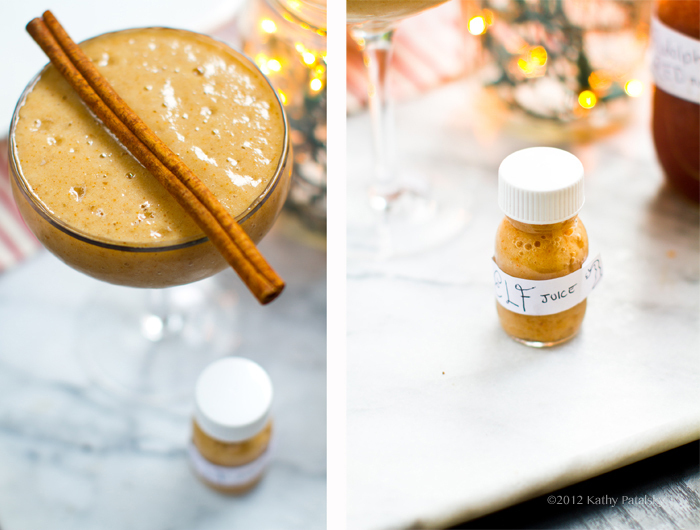 And that pumpkin pie spice (a mix of cloves, cinnamon, nutmeg, ginger and allspice) gives this juice its spicy nog flavor. **if you do not have pumpkin pie spice, you can substitute with cinnamon and or ginger and nutmeg. Cinnamon is the most important spice for this though! Also rich in potassium and vitamin B6. Elf Juice. Tastes like fruity, sweet nog. With a spicy kick!.. When the elves, reindeer and man in the big red suit have all headed out for the evening, Mrs. Claus settles into her snuggly red pajamas and whips up a tall glass of this special beverage. It uses leftovers of the "Elf Juice" as the base. Because really, those elves never finish all their juice. 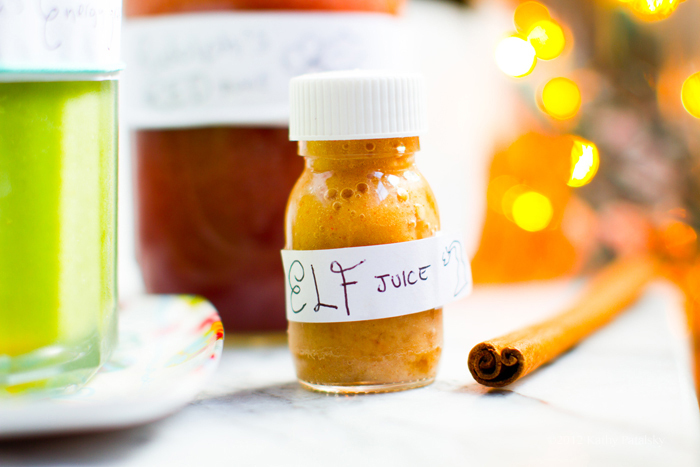 On the left, Mrs. Claus turns leftover "Elf Juice" into a swanky spiked sip..